Part I in my series featured lack of exercise, poor diet and neglecting your physical health and how they relate to stress. Each is common but does not provide a solution on its own. Yet tackling them and removing them from your stress mix can make you feel significantly better. Furthermore, being healthier can partially insulate you against stress, and condition you to cope better at difficult times. This is also the case with getting a good night’s sleep. Sleep is undeniably crucial to our physical and mental health, and yet it is too easily dismissed as something that either happens or does not, as if it were largely out of our control. Or some talent that you are either blessed with or not. Quite the contrary. There are many factors and conditions to help get a good night’s sleep and it is well within our grasp to tinker with them and reap the benefits. As such, I’m dedicating the whole of this article to the fourth stress additive and preservative on my list – poor sleep hygiene. While the odd bad night’s sleep is harmless really, a lack of quality sleep can be enormously detrimental to how you feel and function (as you may well be aware). Worse still you can get trapped in the vicious cycle whereby a lack of sleep contributes to stress, anxiety and depression, and these three in turn diminish your capacity for sleep. 6 Steps for Getting and Maintaining More and Better Sleep. 1. Create the Appropriate Conditions for Sleep. Ensure that you have good exposure to daylight during the day, have dim light in the evening and stop staring at your computer screen well before you intend to go to sleep. It’s best to get up round the same time each morning. You want to make sure that your body clock is set for sleep at the right time. Exercise can facilitate better sleep. For optimal effect (on tiredness and body temperature), do it 3 to 6 hours before bedtime. If you’re fit and don’t have too much difficulty falling asleep, it’s less of a concern and you can work out closer to bedtime. Otherwise you need sufficient time for your core body temperature to be dropping at sleep time. It is best to keep the bedroom cool, so turn down the heating. Keep your body cool by wearing light-weight pyjamas. Use layers of sheets and blankets to moderate the temperature, and maybe use a hot pack just to warm the bed initially if desired. Try where possible to avoid eating late, especially rich foods. Alcohol may help you fall asleep but the quality of sleep is suboptimal and waking is likely. Breaking a habit of caffeine and sugary snacks at night will be rewarded with better sleep and a better day to follow! 2. Reduce Highly Stimulating Activities before Bedtime. Stop work, gaming, watching television, etc, leaving sufficient time to wind down before you go to sleep. Don’t engage in arguments late in the evening….or have a strict cease-fire policy well in advance of getting into bed. Likewise, don’t get into bed while your mind is still processing the day or rehearsing tomorrow – journal, talk, jot down notes or make a list, whatever it takes to convince yourself that you can stop thinking for now until the morning. 3. Pay Careful Attention to What You Allow to be Associated with Bed. Don’t check the clock continually and calculate how many hours of sleep you’re not getting. Nor engage in catastrophising about the terrible day you’ll have tomorrow – you may not feel terrific, but likely fine and it may mean a really good sleep the following night. No tossing, turning or worrying in bed. If you can’t get to sleep or can’t stop worrying, short circuit it and get up – have a glass of milk, maybe gaze out the window. Whatever you do, don’t create tension by trying hard to get to sleep (we all know that doesn’t work!) Try instead to accept the moment’s sleeplessness, knowing that if not now, it will come eventually. Relish the moment, once you are practiced – you’ll be able to enjoy a rare moment of lying comfortably with nothing do. 4. Establish a Bedtime Ritual. 5. Be Patient. Developing New Habits Takes Time. Once you’ve taken steps to clean up your act around sleep, give it some time. New habits take time to stick and there may be an adjustment period before you notice improved sleep and its positive effects. 6. If the Above Methods Don’t Work, Do a Reality Check. Sleep is different to diet and exercise. If you can stick to a healthy diet and exercise regime, the rewards will follow – attaining/maintaining a healthy weight, fitness and better health and wellbeing. Sleep, however may not come easily despite good sleep hygiene. If you find that you cannot switch off sufficiently no matter your good preparation, or that you still struggle and there hasn’t been a positive change after a period of good sleep practices, it’s important to consider what’s going wrong. Maybe you need a health check to rule out any medical factors. Or you may actually need some more formal training in ‘switching off’ in order to relearn relaxation (a relaxation/yoga/meditation class or resource). Alternatively, you may come to a different conclusion. 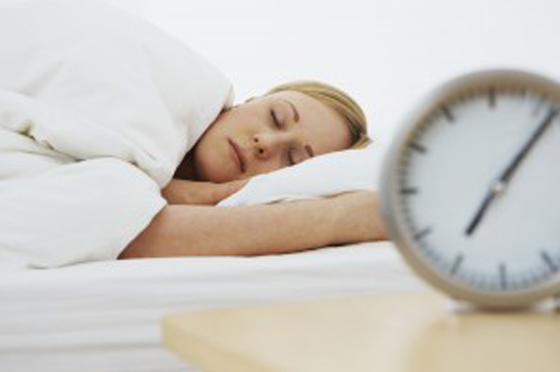 Poor sleep can be an indicator that you have unresolved difficulties needing your attention. No amount of good sleep hygiene will guarantee enough quality sleep if there is good reason behind your unrest. That is, if there is an aspect of your life that is screaming out for attention, despite your best efforts to soldier on regardless, sleep may well continue to be a problem. This is when a good friend or some professional help may be the next step towards dealing with your unrest. Acknowledging that all is not well and that things may need to change can sometimes bring enormous relief…..and the good night’s sleep you deserve. Rest up for now. In Part lll of the series, I will look at some daytime habits that magnify stress, and some practical strategies to counter them. Nice article, Jacqui! We live in such a strange world–so often people brag about how little sleep they can get by on or say they don’t have time to sleep very much because they are too busy. And yet, we know that people don’t function very well when they don’t get enough sleep. In addition, loss of sleep is a significant factor in many health conditions. Not sure what the solution is, but your article is a good reminder, thanks. Thanks Juliet. I agree. Most of us sacrifice sleep on occasion for a deadline or a good party but to do so regularly is just not sustainable. 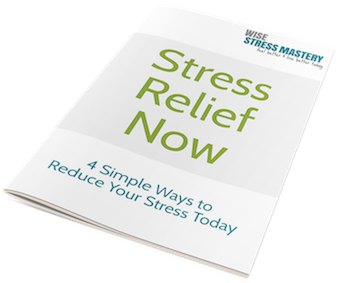 Health, mood and productivity all suffer – and that’s more stress we certainly don’t need. When people do get on top of their sleep again, they are often astounded at the difference it makes!